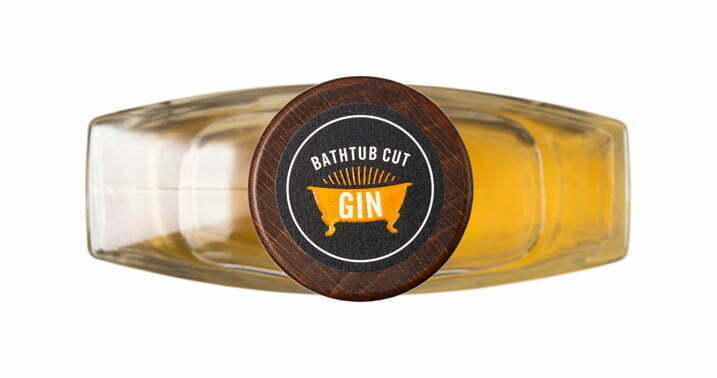 Toolbox Director Adam Carpenter, along with a business partner embarked on a new project, to create their own distillery and gin brand. 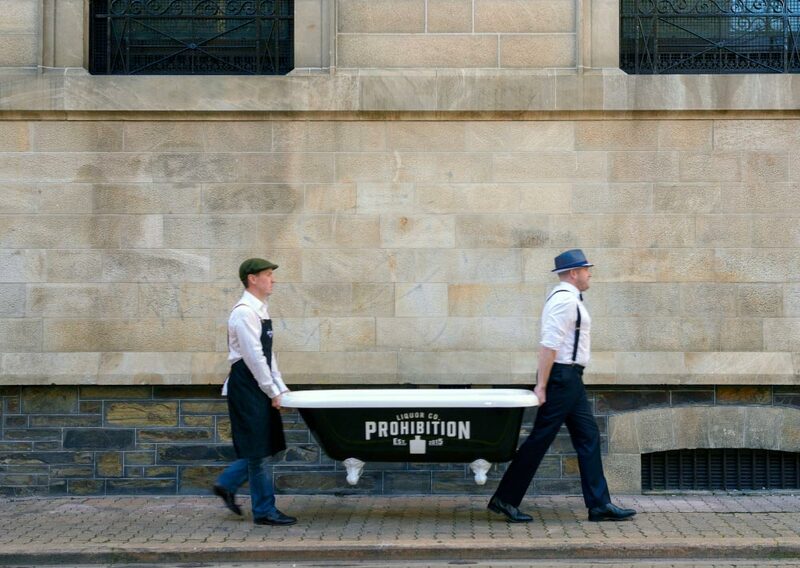 Prohibition Liquor Co was created in mid 2015 and the first product, Prohibition Gin launched on 1 December 2015. 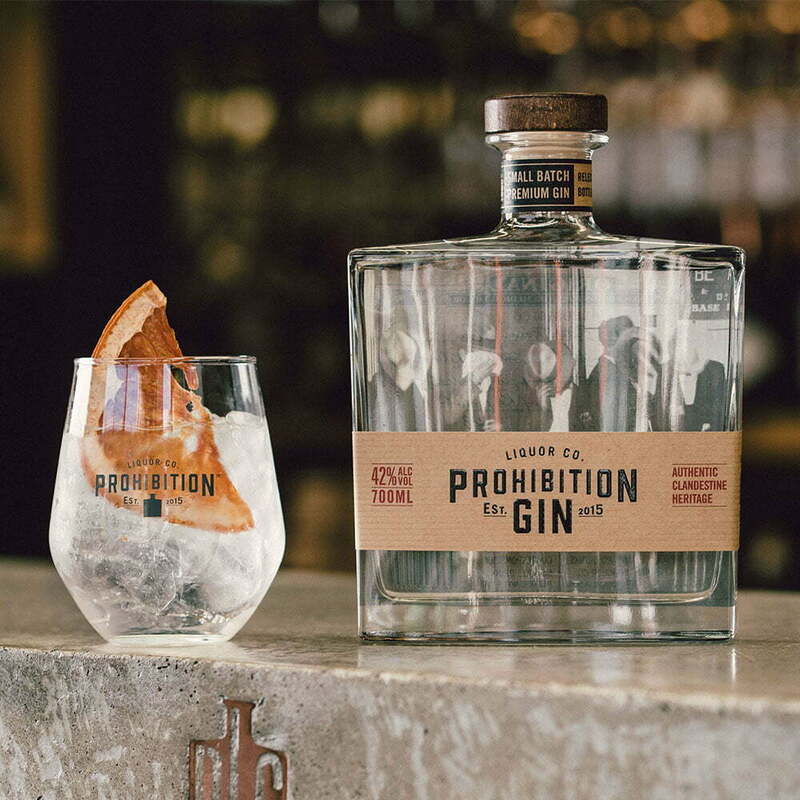 The brand and packaging have been designed to reflect a contemporary take on the feel of prohibition era, with all the hallmarks of a high quality, small batch, artisan product. 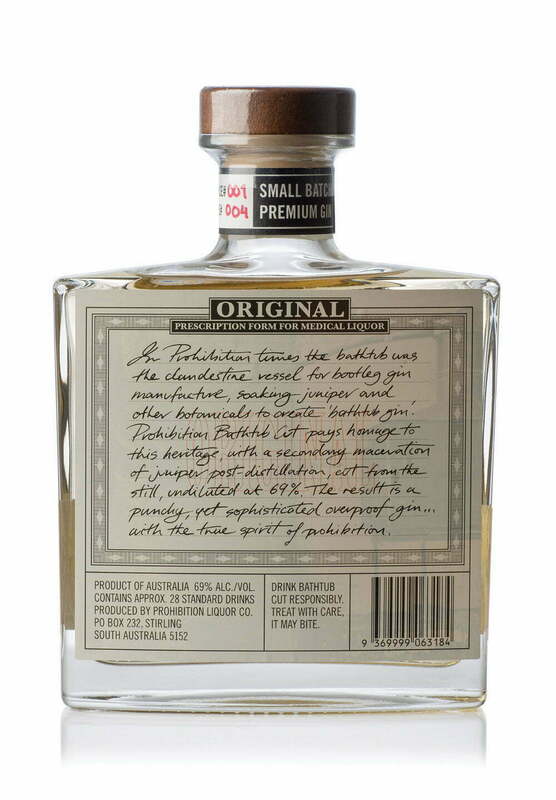 A key driver of the name and the look and feel of the product was about creating a strong point of difference and presence on the shelf in the increasingly competitive gin market. 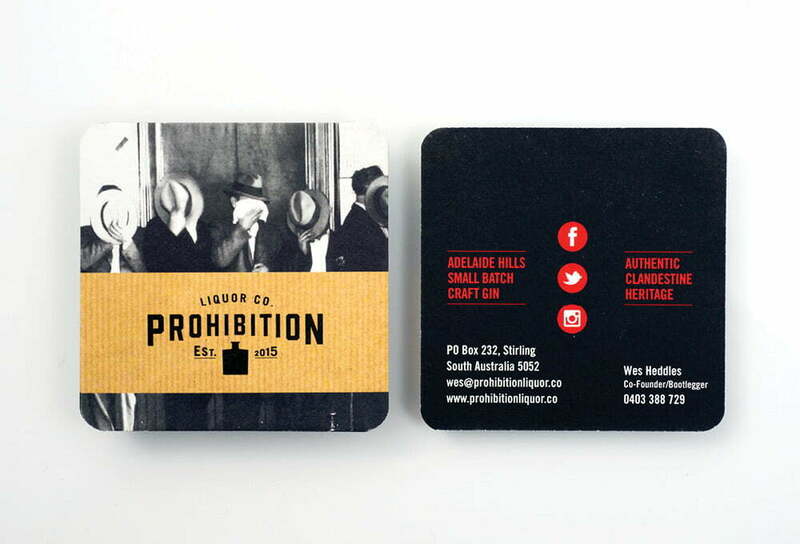 Imagery from prohibition era, coupled with contemporary typography and art directed brand photography continue the feel of quality required to reflect a top tier spirit brand. 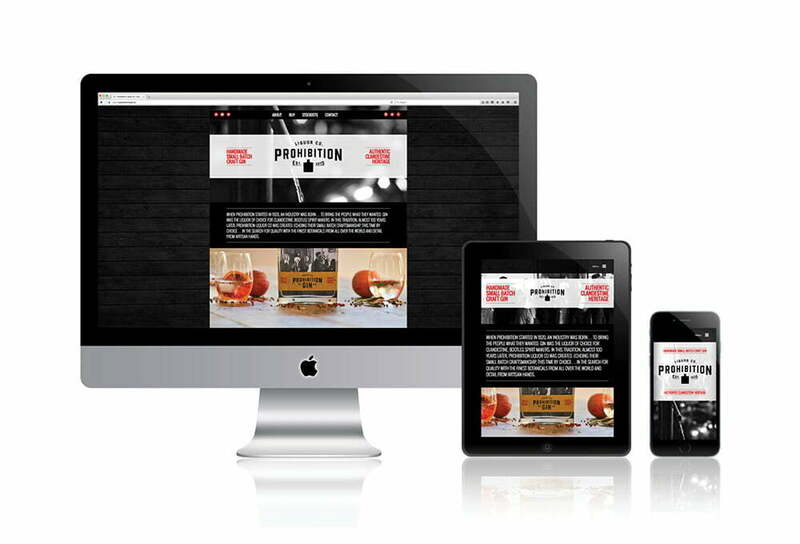 The Prohibition Liquor Co website is a vehicle for brand promotion and information delivered in a simple, elegant format, reflecting the brand presence. 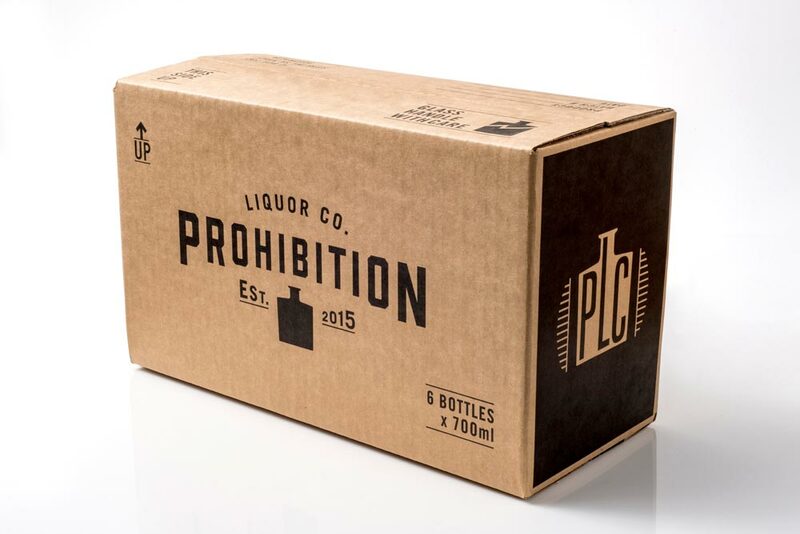 Outer packaging from single bottle boxes to shipper cartons continue the same language of quality and attention to detail, showing the value of the product at every level of the experience from delivery to shelf presence. 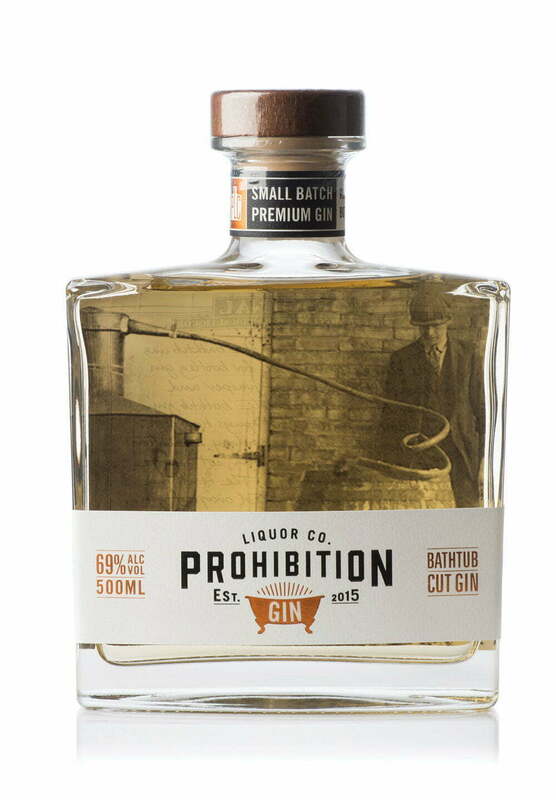 The Prohibition Liquor Co Distillery Tasting Room, opened in December 2017, embodies a unique brand experience for casual guests and Prohibition fans to enjoy alike. 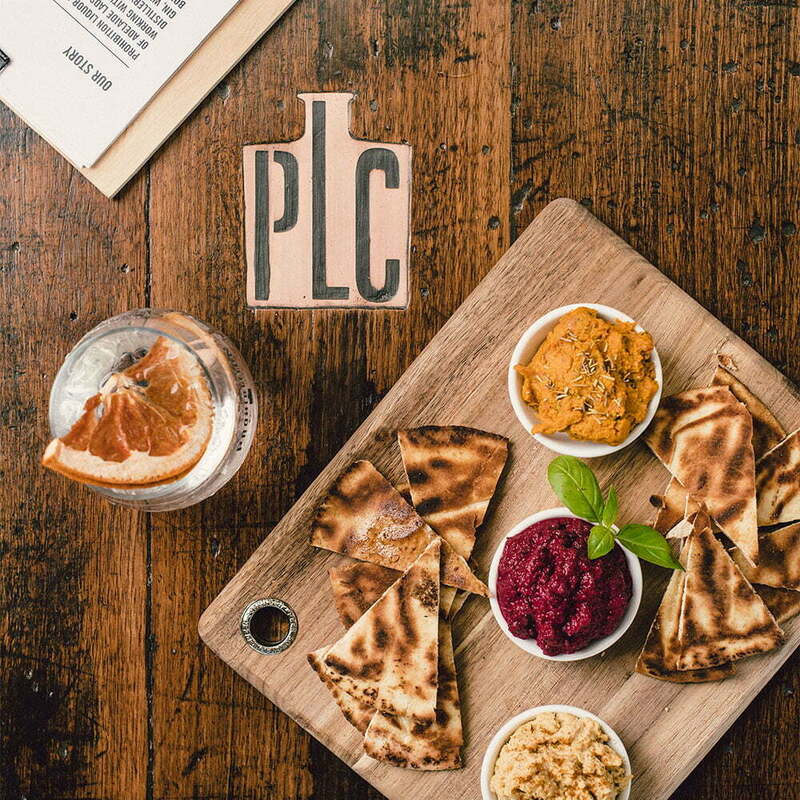 Every detail reinforces the quality of the product, from signage, menus and postcards to custom decor and cutlery. 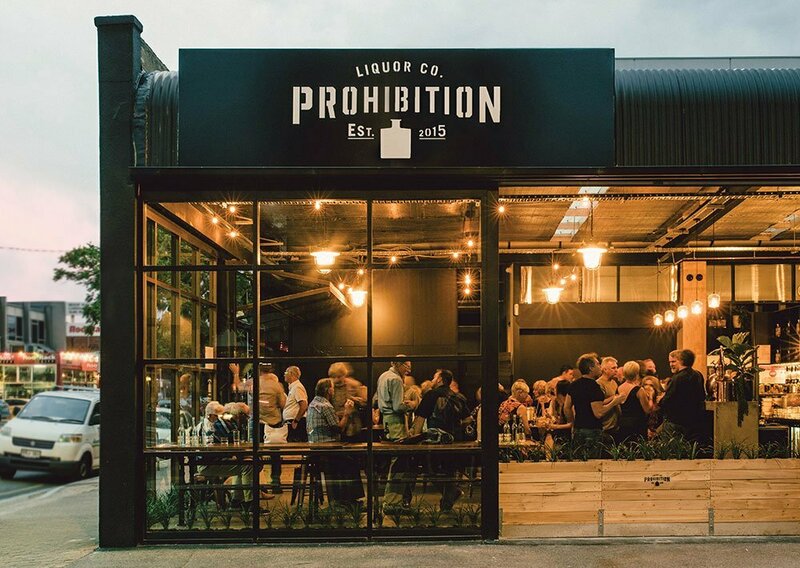 With educational masterclasses and Adelaide CBD’s only operational still, the Tasting Room encourages a new level of brand engagement whilst reinforcing the product’s position as a distinctive, high-quality spirit brand.